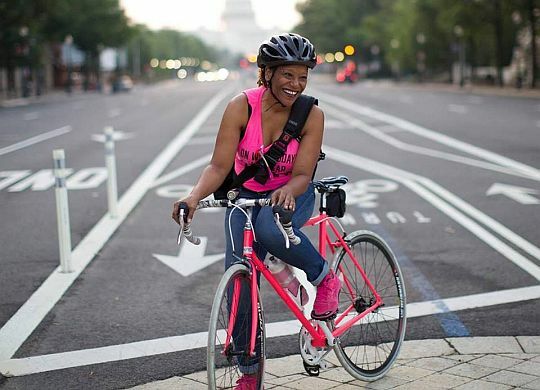 There are many ways to support The Fuller Center’s affordable housing ministry, so what exactly would possess a person to lend a hand by hopping on a bicycle and pedaling 3,500 miles across the country? Moreover, what would possess three friends to support The Fuller Center this way? The women will be blogging throughout their ride (which amounts to a combined 10,500 miles of pedaling for the three) and posting photos from along the way. The summer ride has grown to its largest ever pack of riders, so large that it has been divided into two groups — an “orange” group that departs Seattle on June 11 and a “blue” group that departs June 18. The DC3 will be riding in the blue group, though both teams will arrive in D.C. together on Aug. 13.